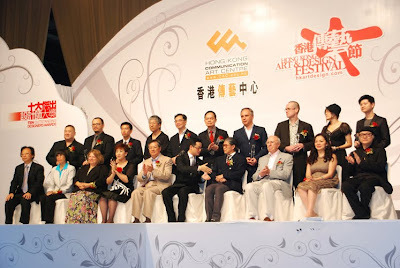 The Minister of Health, Professor Chen Zhu; the Secretary for Food and Health, Dr York Chow; Hospital Authority (HA) Chairman, Mr Anthony Wu; and HA Chief Executive, Mr Shane Solomon, were joined by over 200 community partners, patient group representatives and staff members of the HA Head Office and the seven hospital clusters today (September 20) to witness the launch of a new era for the "Vision, Mission and Values" (VMV) of the Authority. The Launch Ceremony of HA's New Service Culture was held at the HA Building this morning.Addressing at the ceremony, Mr Wu remarked that the old "VMV" were devised some 18 years ago. "With the progression of society and changing community expectation towards HA, we need to refresh a new service culture and consolidate it in our daily work to meet the needs of patients today." 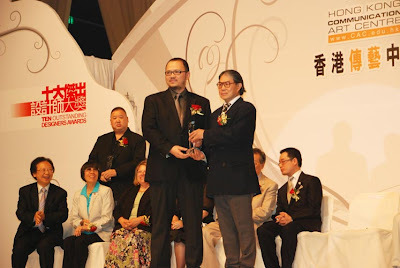 Mr Wu in particular expressed his heartfelt thanks to Professor Chen for pledging his support for HA by officiating at the Launch Ceremony following a Stone Laying Ceremony at Tseung Kwan O Hospital in the same morning. 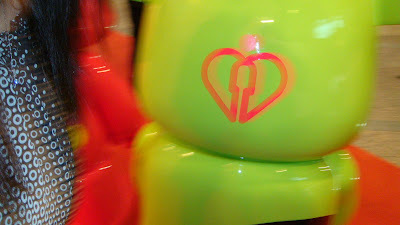 What are Qee doing at Hopital Authority? Over 40 artist from the Lincoln and Omaha area are submitting customized 8" DIY Qees for this exhibit celebrating the first anniversary of the TOY2R US division. 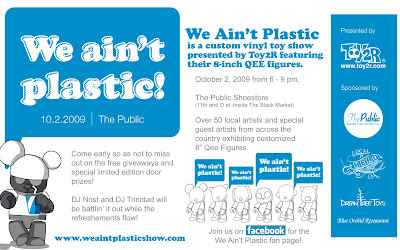 This event will showcase some of the hottest design talent in the Midwest area and will serve as the launch for the 2010 Qee Worldwide Tour which celebrates the 15th Anniversary of TOY2R! In addition, special guest artists are submitting original Qee customs from across the country, including Jay222's Twin 16" Qee creation, Pablo y Francisco! 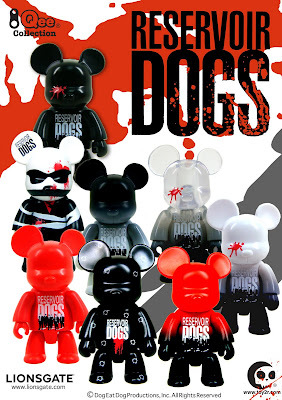 TOY2R will be showcasing some of their newest releases and some surprises, not to be missed! Catch up on all the news including the "tagging of Lincoln" on the WE AIN'T PLASTIC website - our join the fan page on FACEBOOK for updates and special sneak peeks of the customs. 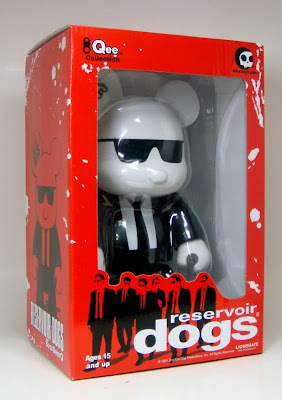 In collaboration with Lionsgate, TOY2R has put together an "inspired by" assortment based on the look, theme and classic moments from Quentin Tarantino's debut 1992 film, Reservoir Dogs. 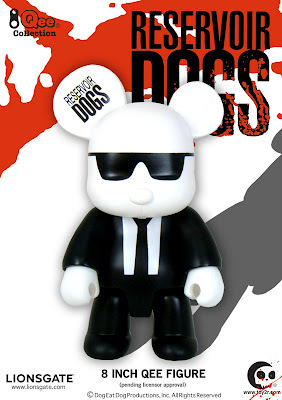 In celebration of this milestone movie and in honor of Tarantino's current box office hit, Inglourious Basterds, TOY2R is proud to release this Qee Collection. 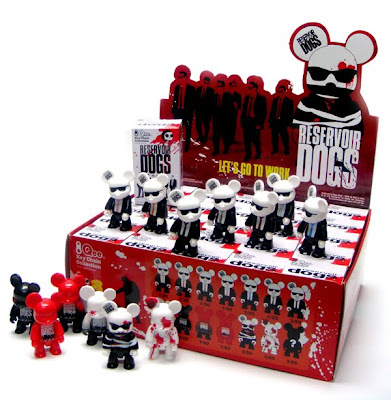 First up are the 2.5" Qees - a 25pc blind box collection. From Mr. Black to Mr. White - the gang is all here! Using elements of package design, Urban Vinyl, and the narrative quality of an 'instructional video,' created a station for Cartoon Network. 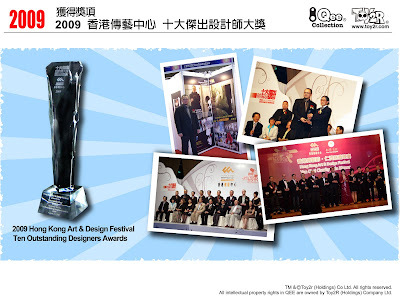 I was selected to be one of the "Ten Outstanding Designers for 2009" by Hong Kong Art and Design Festival.